Product code: ES5204 Categories: Modern & Retro Jewellery, Modern Rings & Engagement Rings. 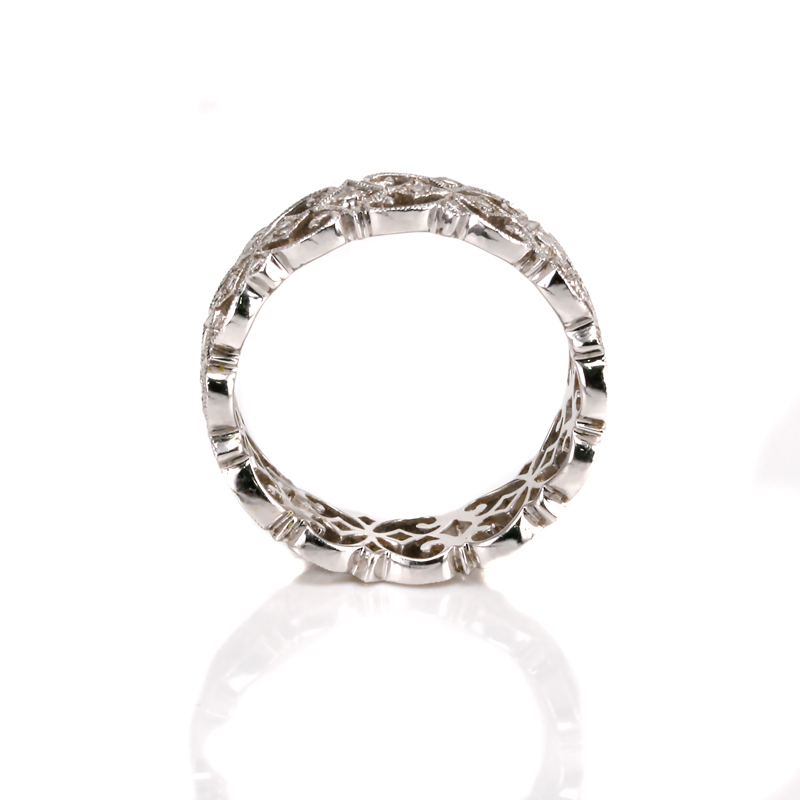 Here is a spectacular 18ct filigree diamond eternity ring that looks so good on its own or along side another ring. Made in 18ct white gold, it is set with 30 brilliant cut diamonds that have a total weight of 0.36cts, and measures 6.2mm in width. The finish and attention to detail is simply superb, with the elegant milgrain finish reminiscent of Art Deco rings from the 1920’s and this is what separates this company from so many other modern ring companies, and will be loved forever. Currently in size “N”, we are also able to produce this ring in 18ct yellow gold or platinum as well to any size with price upon request.